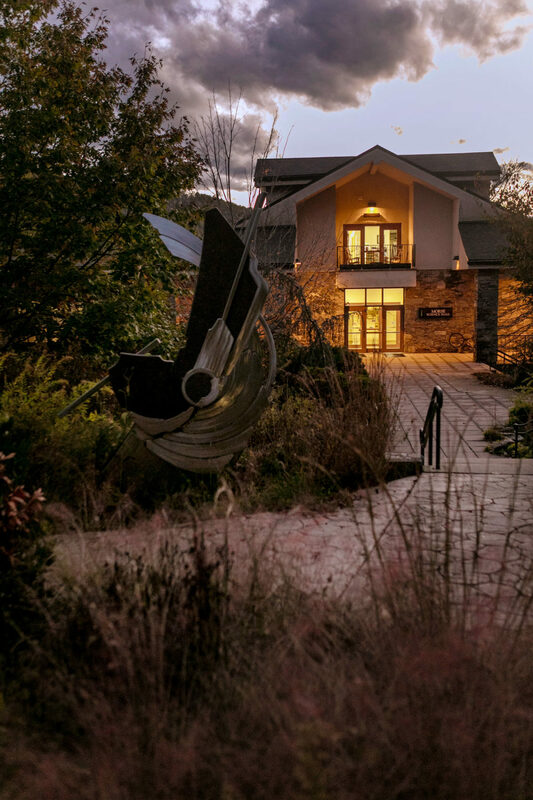 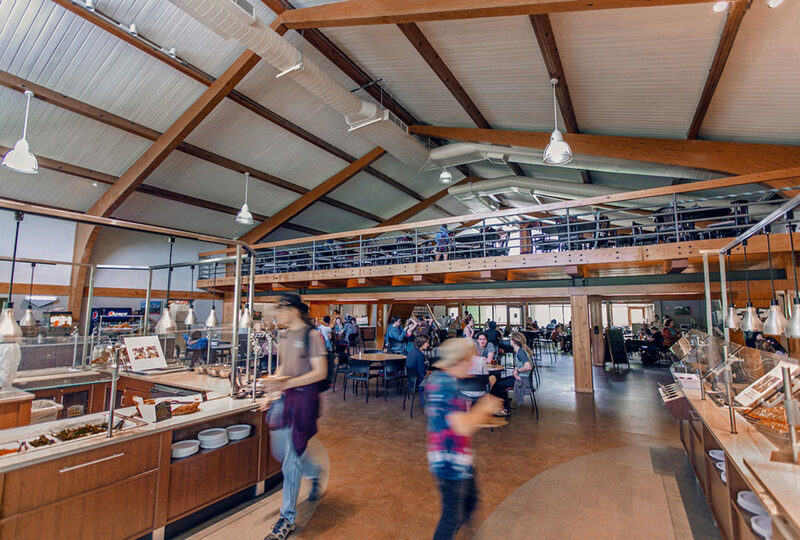 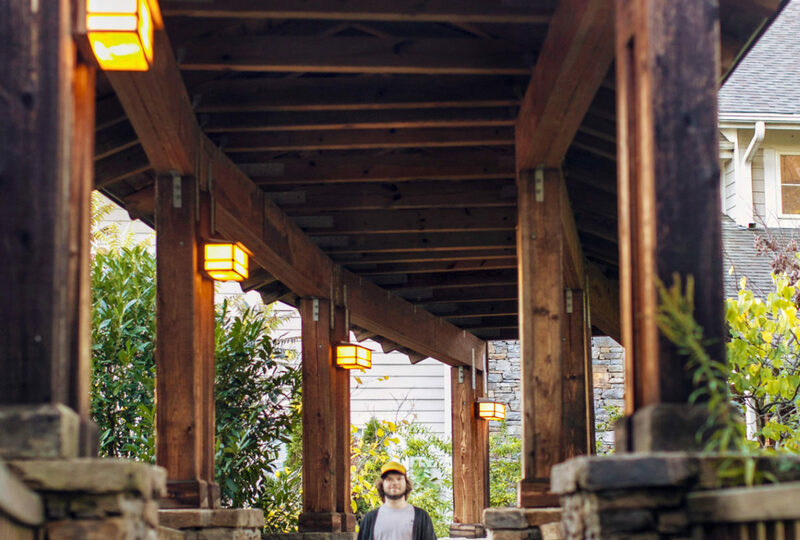 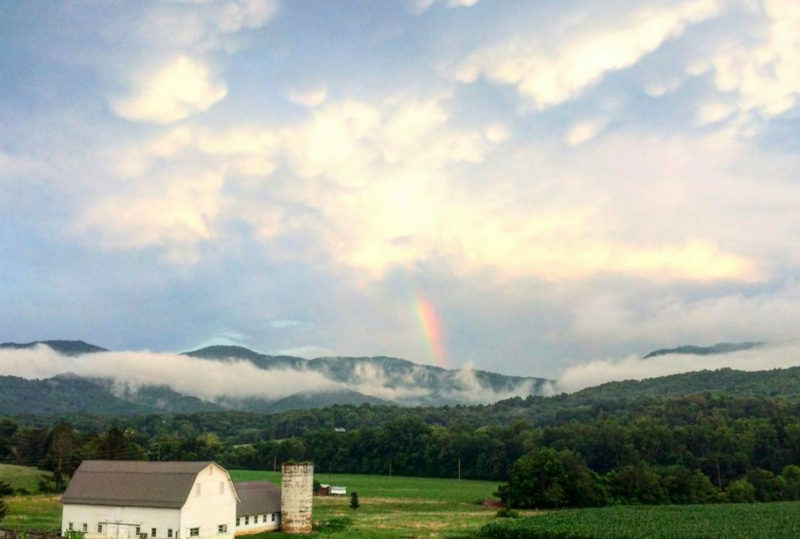 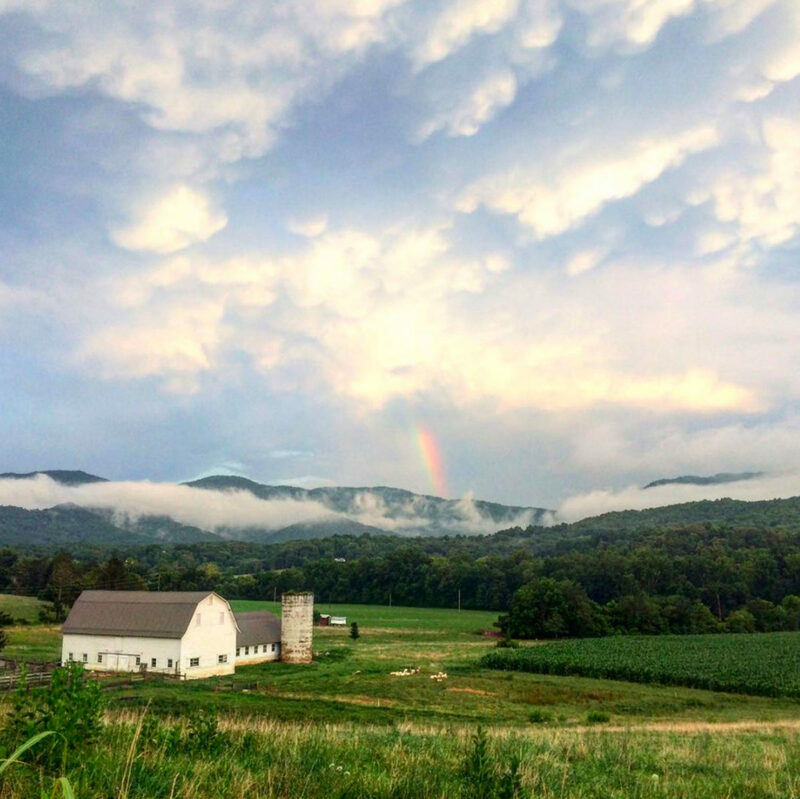 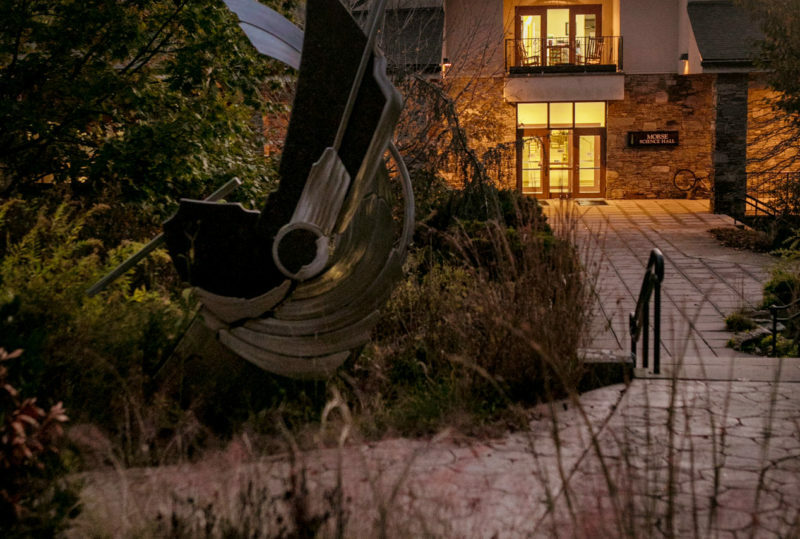 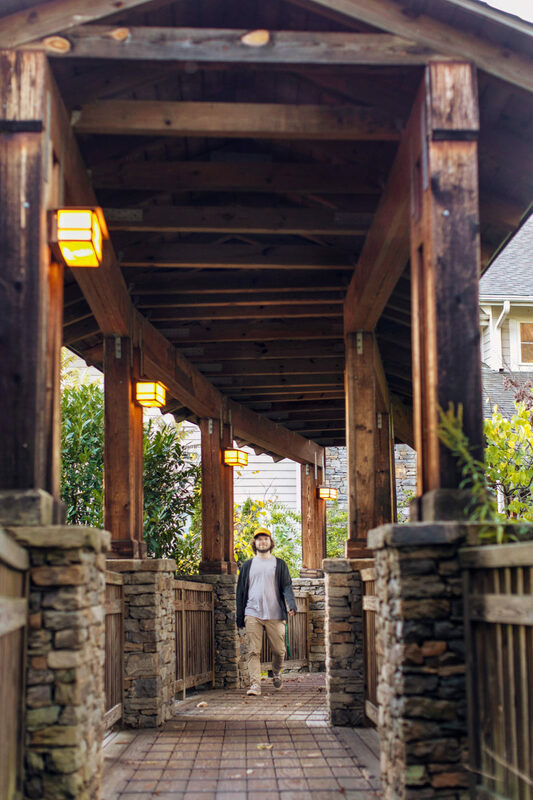 Warren Wilson’s 1,100 acre campus features craftsman-style buildings, a 650-acre forest, 110-acre farm and garden, 16 residence halls, 25 miles of hiking trails and endless opportunity. 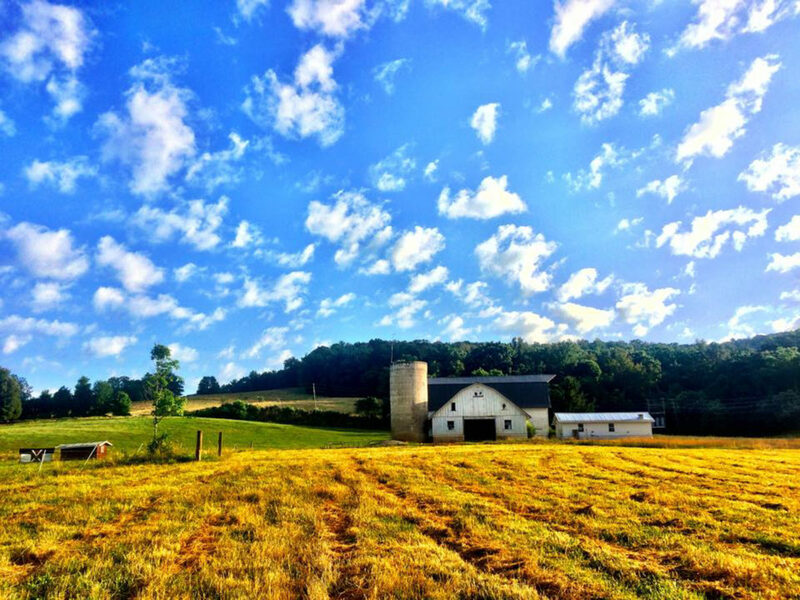 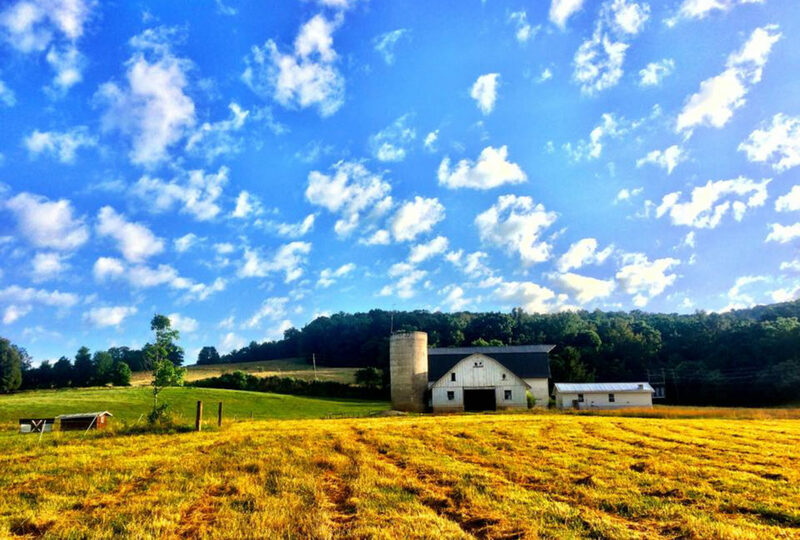 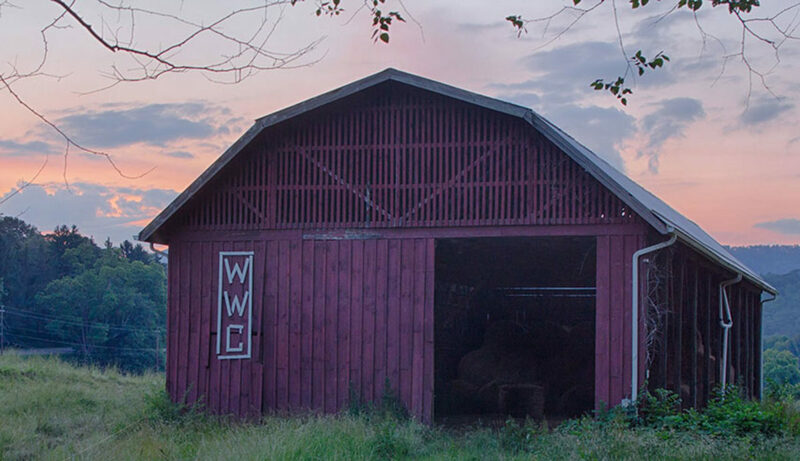 A stunning view of the white barn. 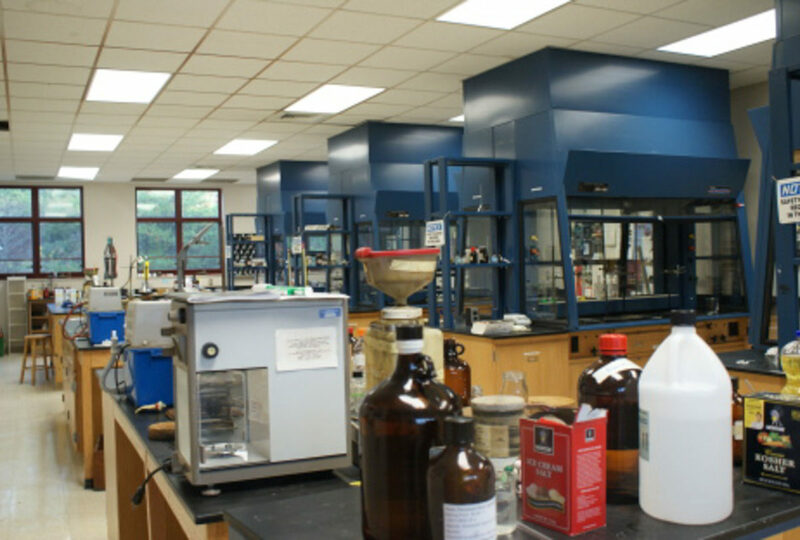 Outside Morse Hall, which houses our science classrooms and labs. 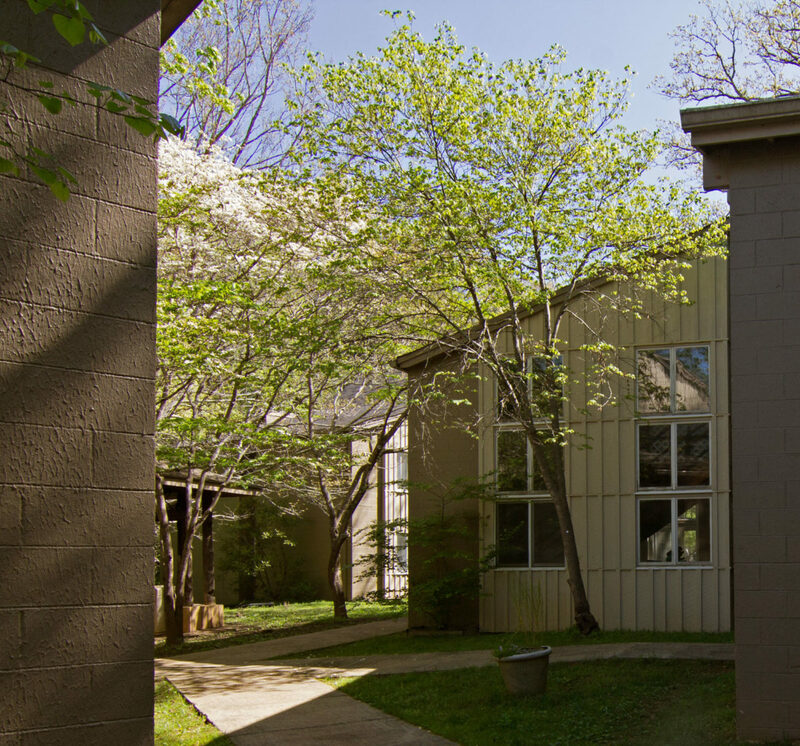 The walkway between Schafer A and Schafer B: two residence halls. 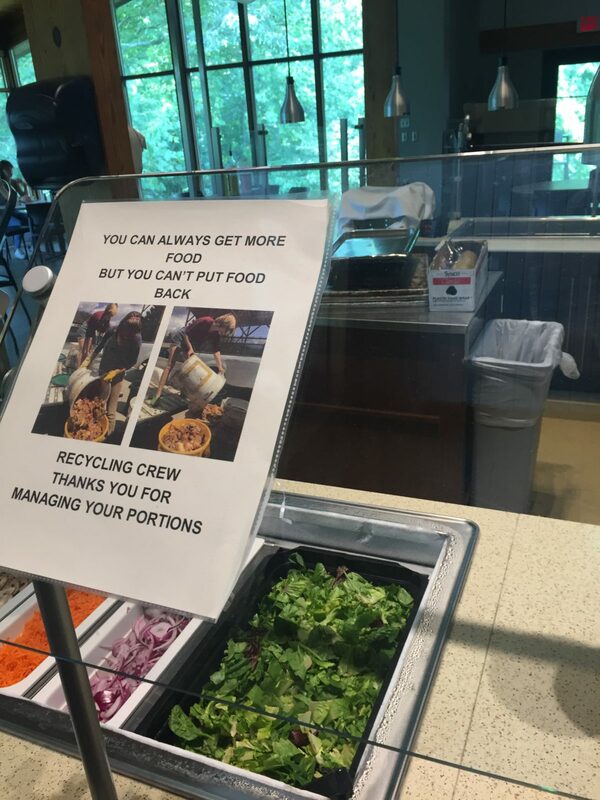 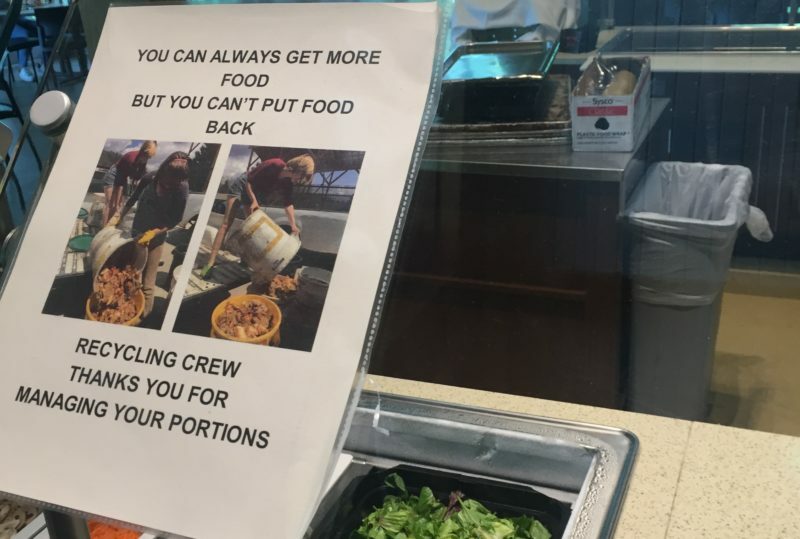 Reminders from the Recycling Crew in Gladfelter Dining Hall. 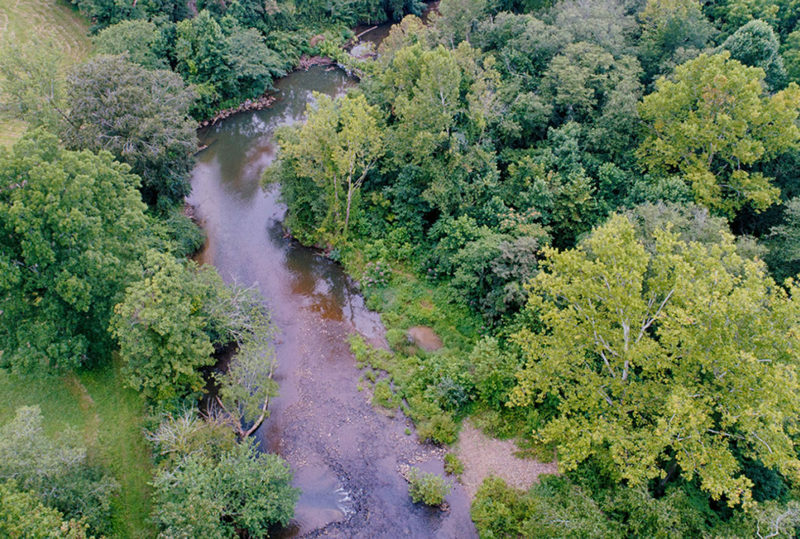 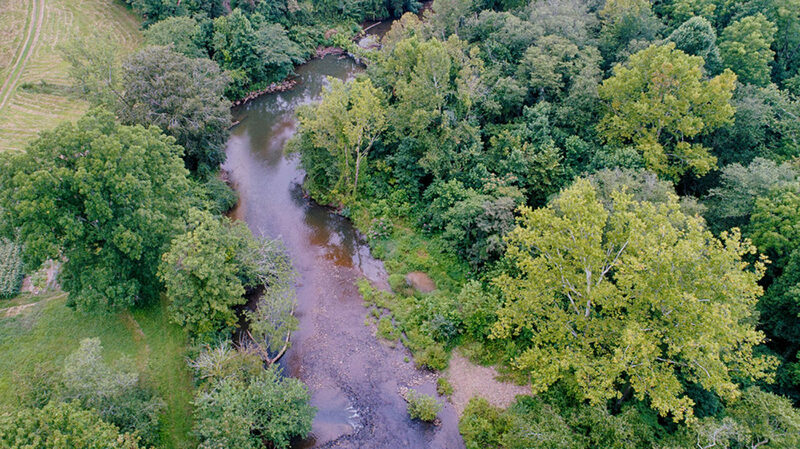 The beautiful Swannanoa River runs right through campus. 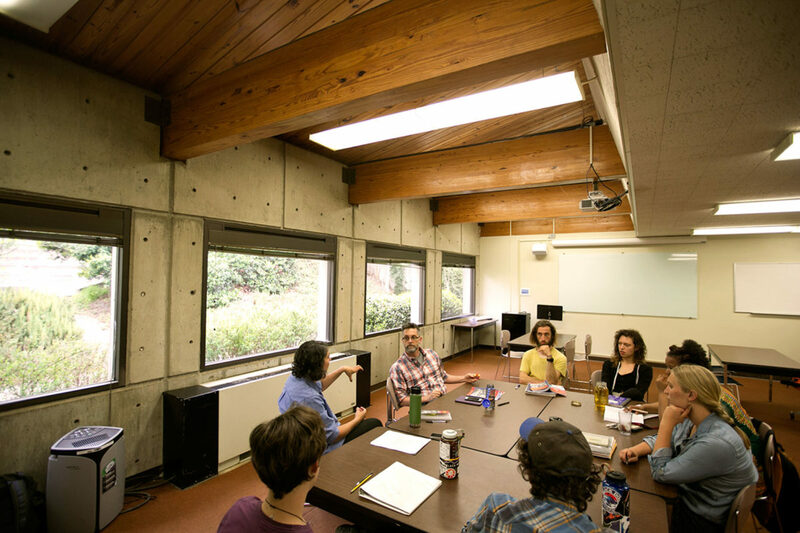 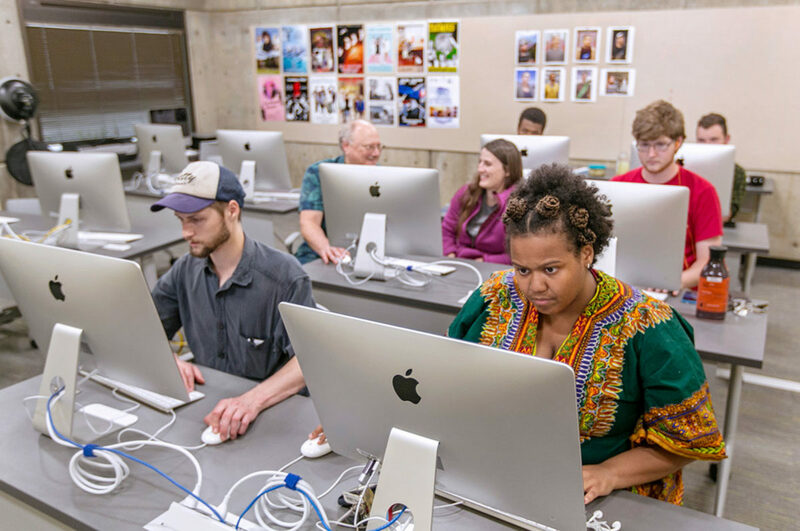 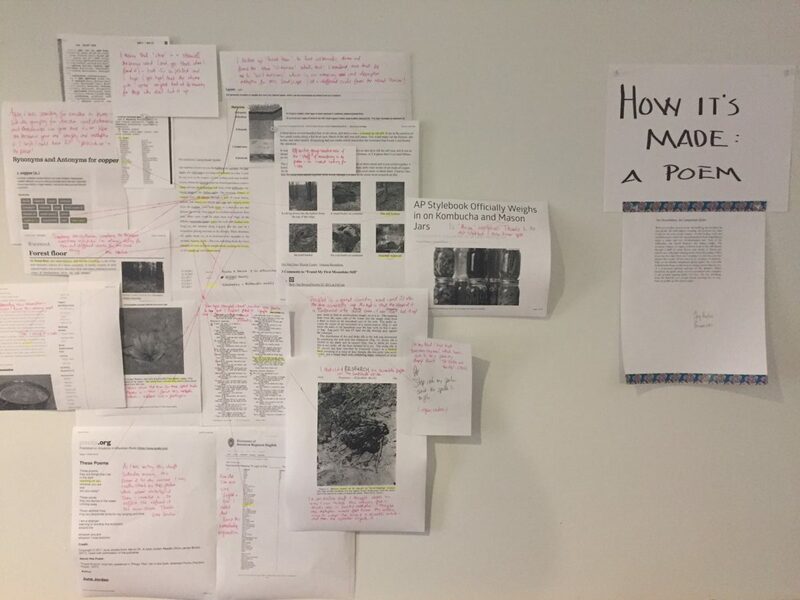 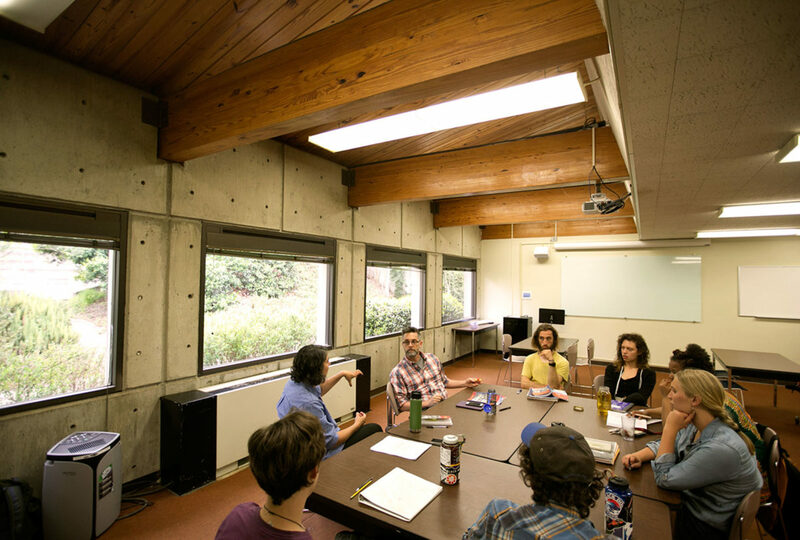 Small, seminar-style classes will define your Warren Wilson classroom experience. 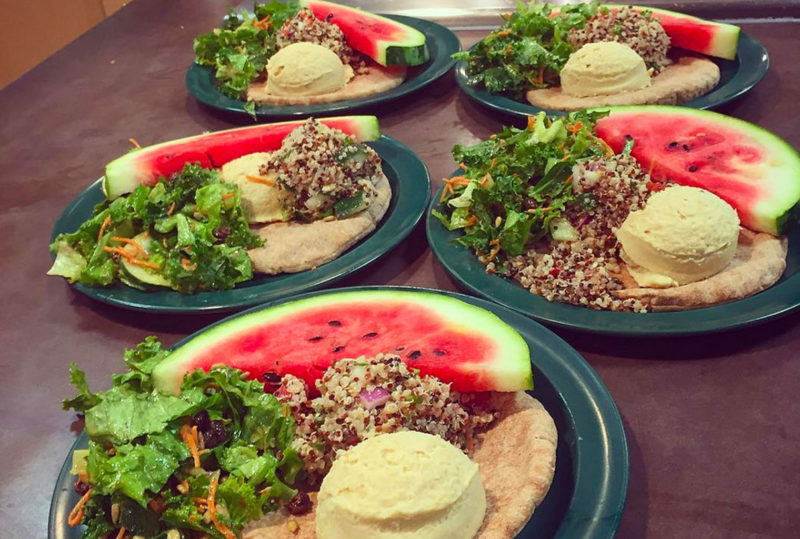 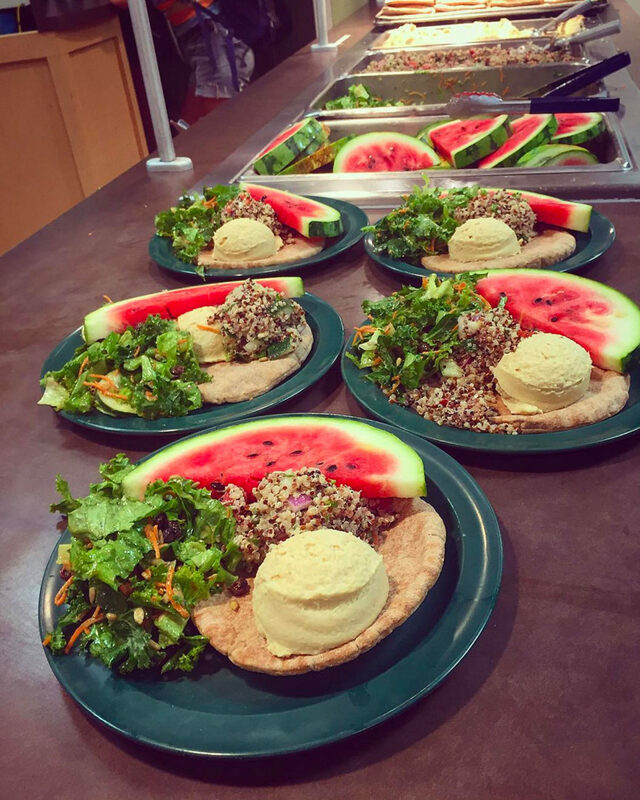 Another gorgeous meal from Cowpie Cafe, featuring juicy watermelon from our campus Garden. 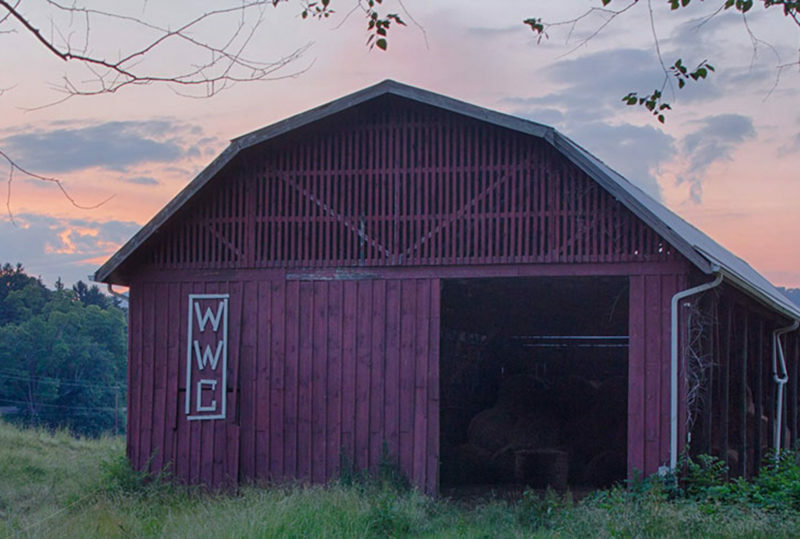 The Red Barn greets you on your drive up to the campus entrance. Gladfelter Dining Hall features local foods, including meat and produce from our Farm and Garden. 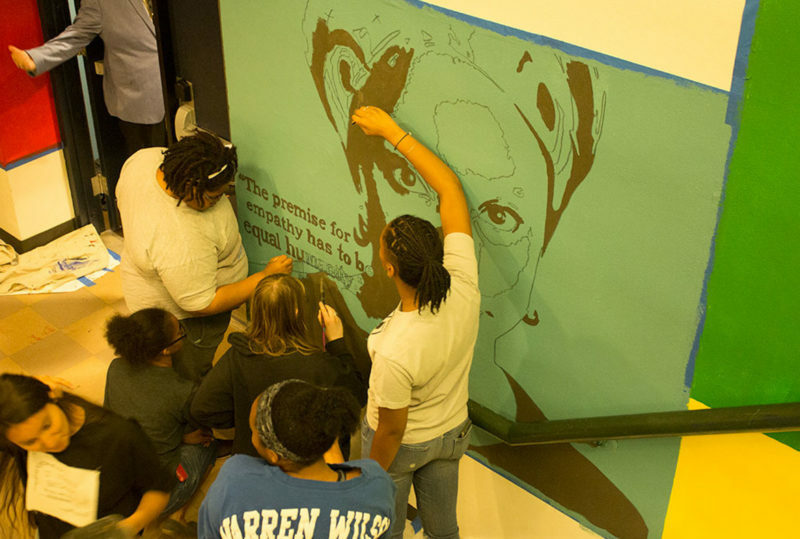 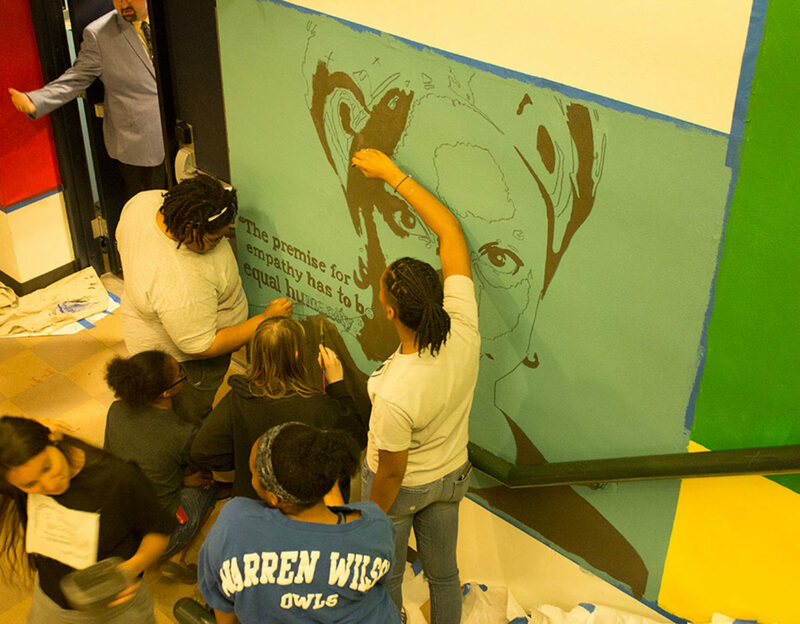 Sunderland Residence Hall, housing first-year students, gets student-painted murals added to its walls. 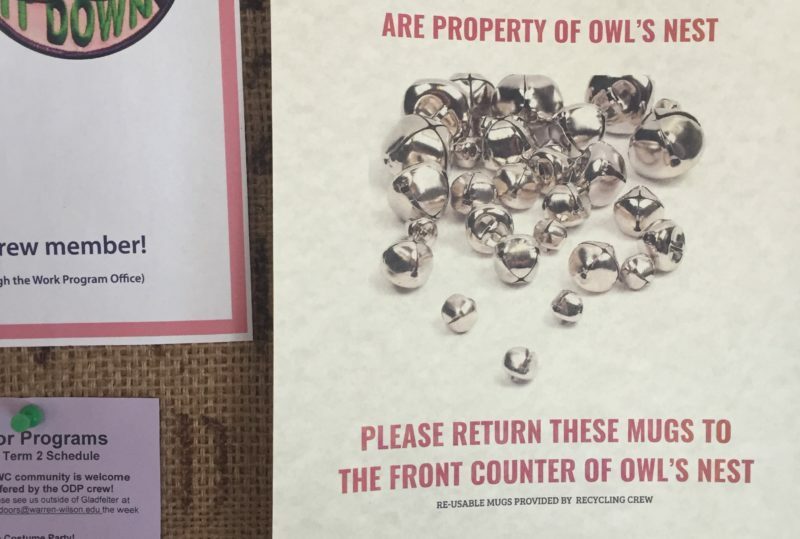 The Owl's Nest, our campus coffeeshop, prevents waste through their "Mugs with Bells" program, developed in partnership with the Recycling Crew. 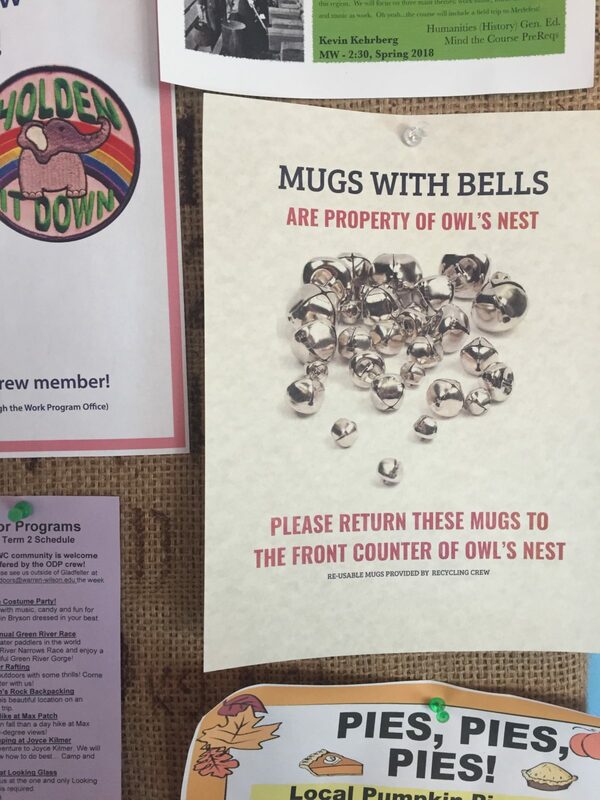 Get your coffee in a reusable ceramic mug- provided free by the Owl's Nest and with a bell attached to remind you to return it when you're done! 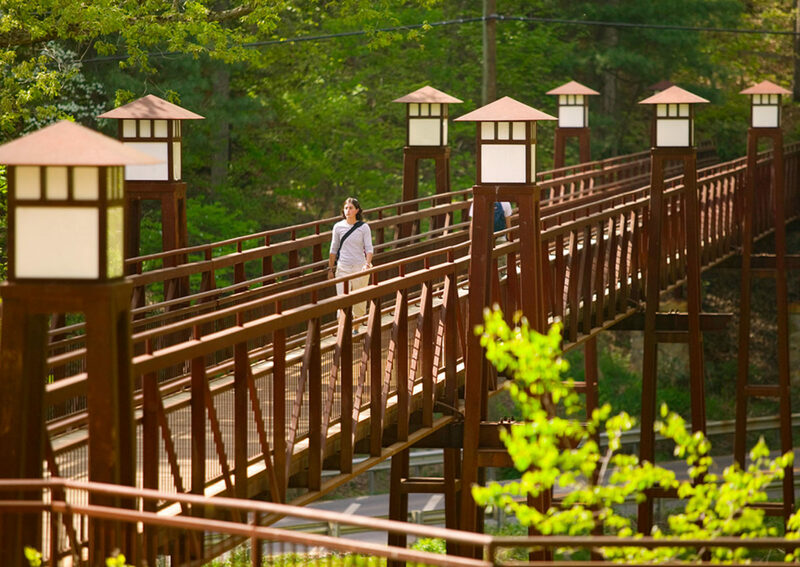 Walk across our Pedestrian Bridge and you will find yourself close to the athletic facilities and many of our residence halls. 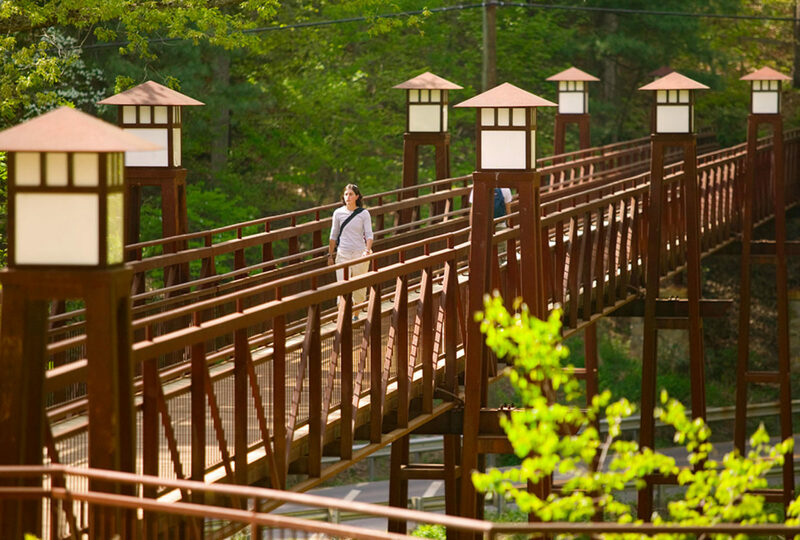 With 25 miles of hiking trails on campus, you'll get plenty of chances to explore the outdoors. Shared kitchens in residence halls contribute to community dinners. 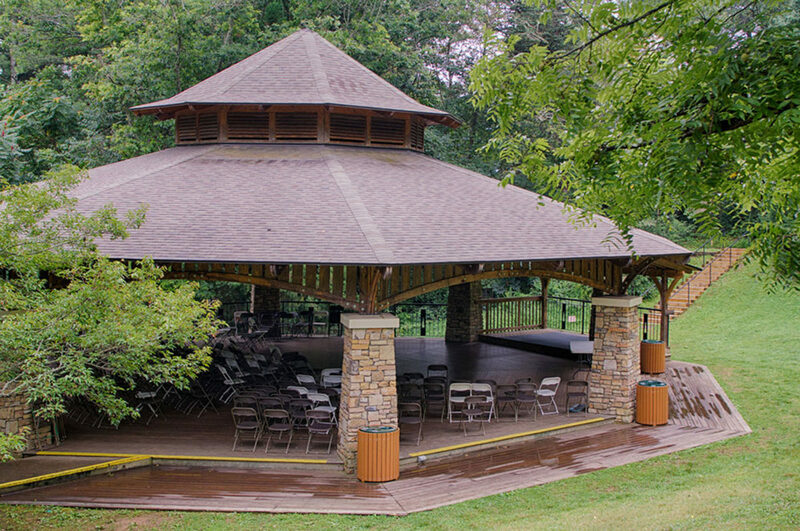 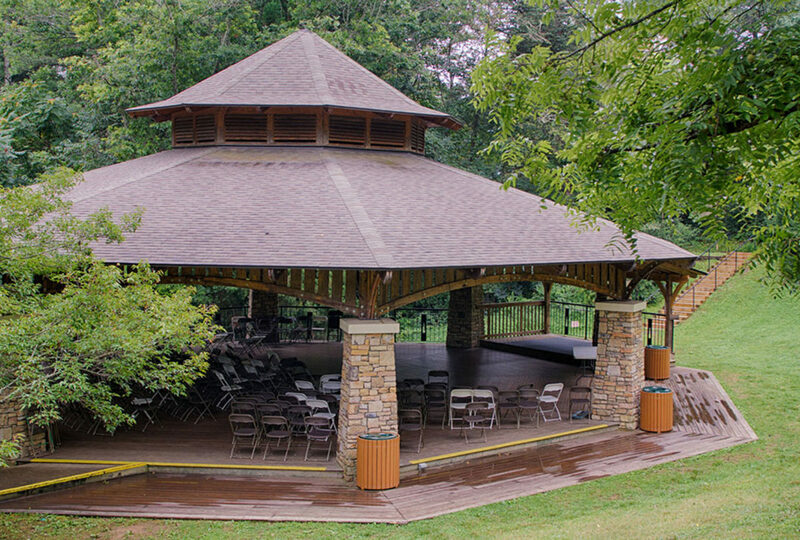 The Pavilion is a community gathering space. 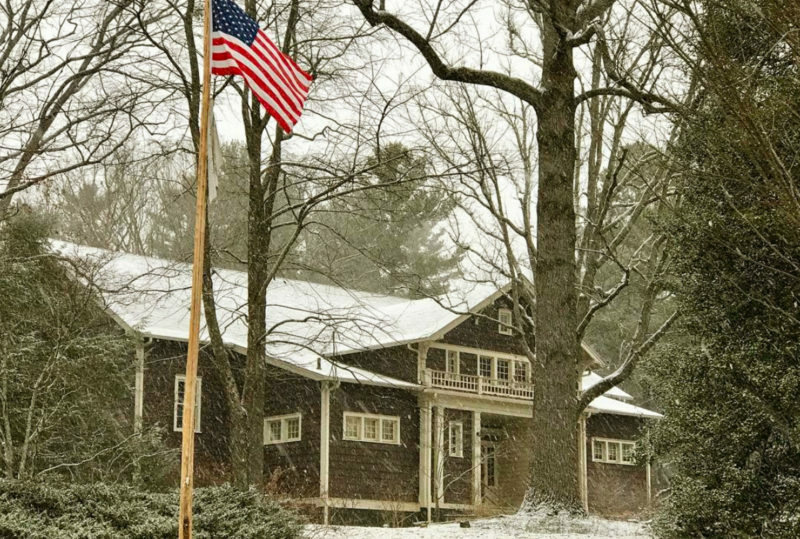 Bryson Gym is one of the oldest wooden gymnasiums in the state, and is home to our climbing wall and Outdoor Programs Crew. Dodge House is home to Student Life, which includes Spiritual Life, the Housing Office, and the WIDE Office. An organic chemistry lab in Morse Science Center. 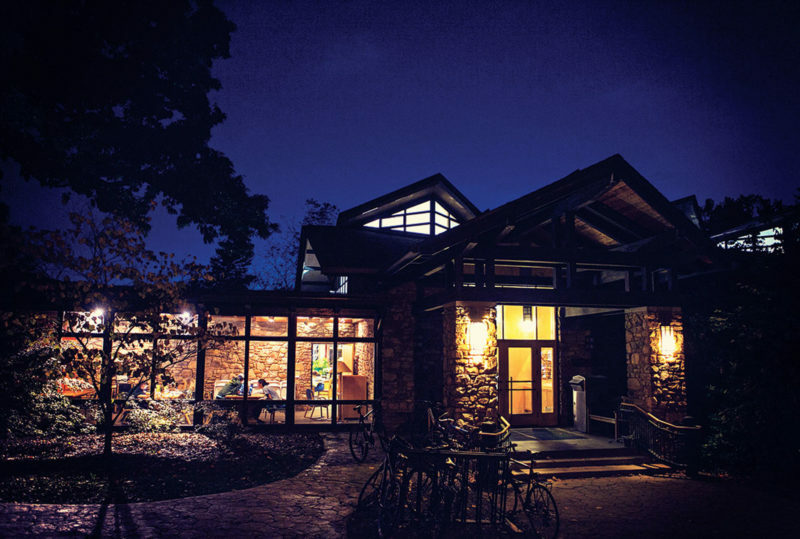 Day or night, the Pew Learning Center will become your favorite study spot on campus. 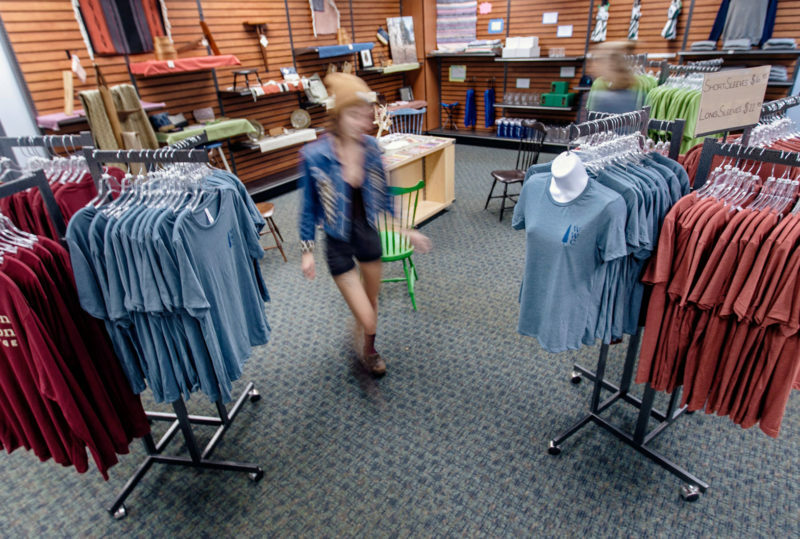 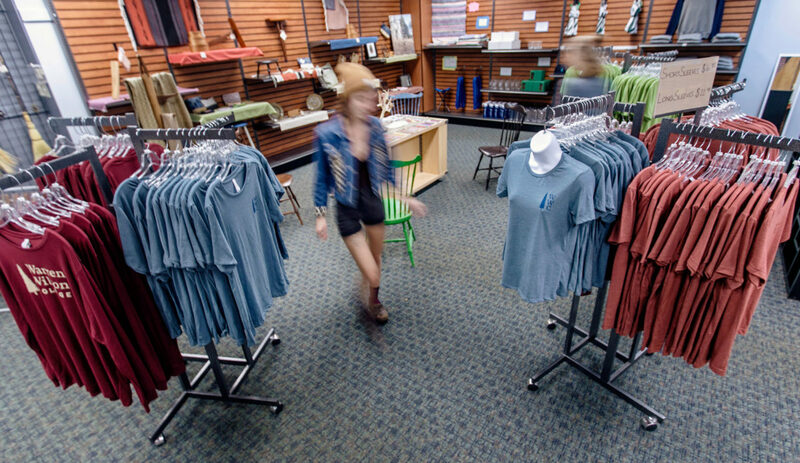 The campus bookstore features all your spirit gear and handmade items by our Craft Crews. 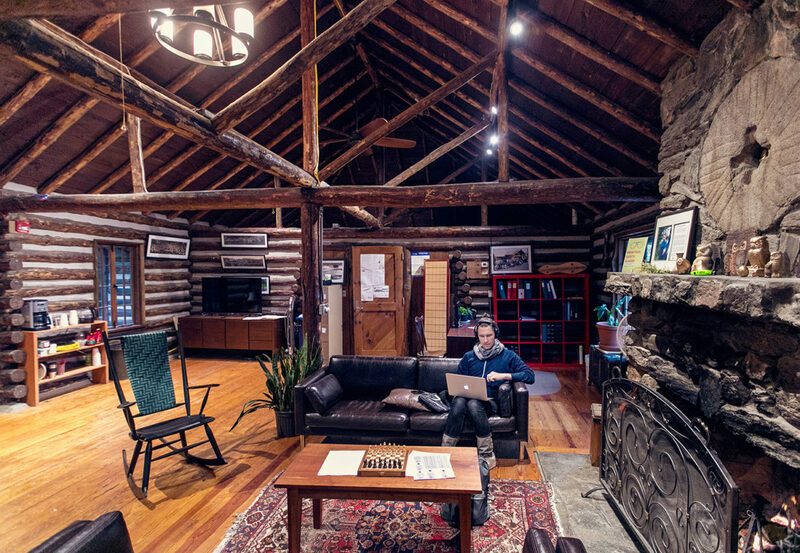 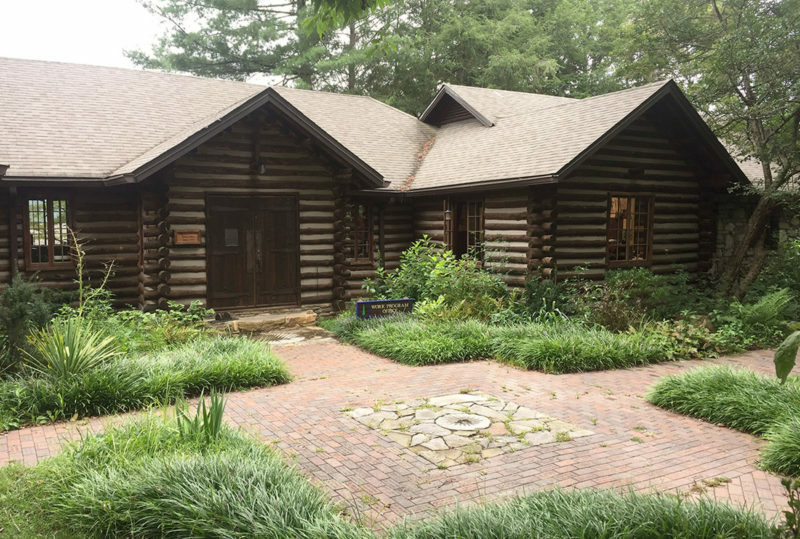 Built in the '30's, the Log Cabin is one of the most beautiful buildings on campus. 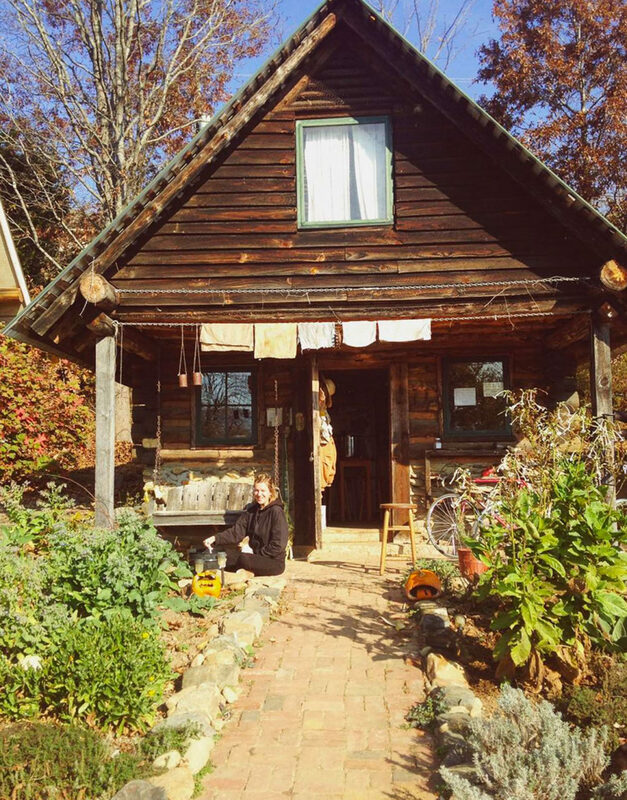 Vining houses our Center for Gender and Relationships. 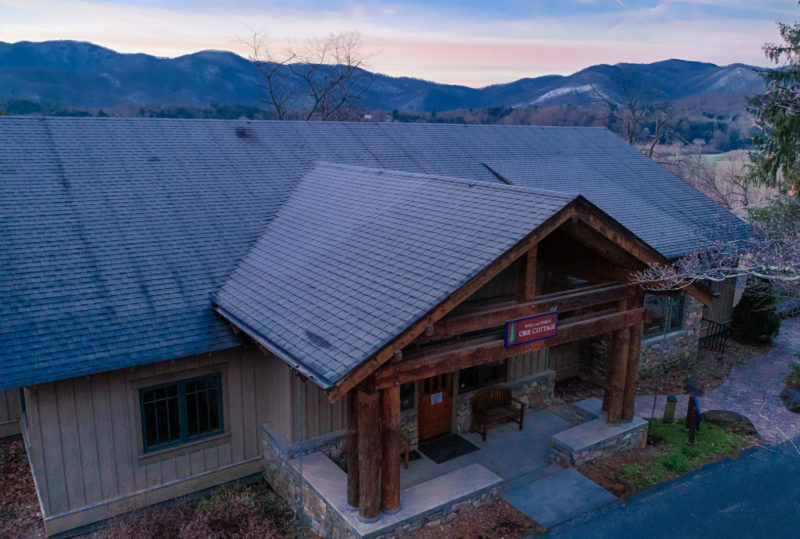 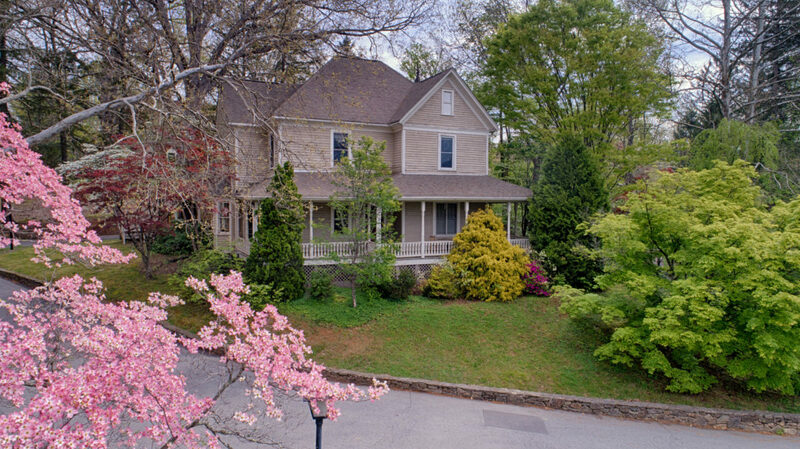 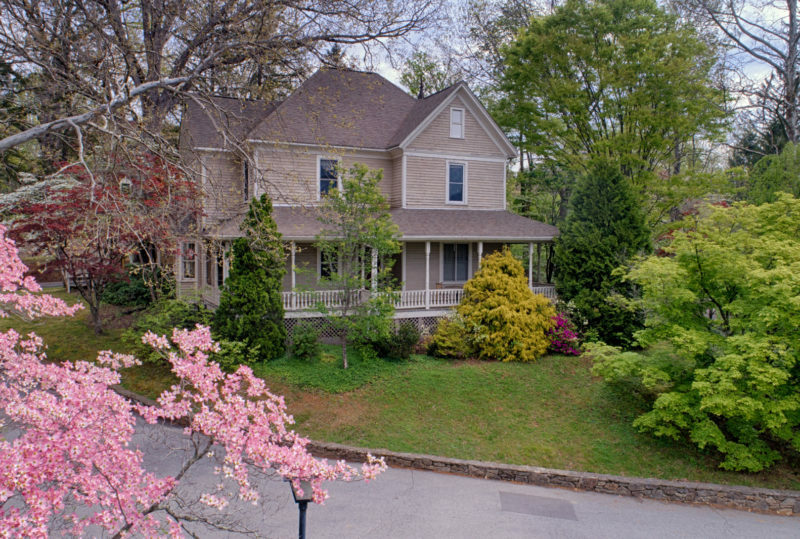 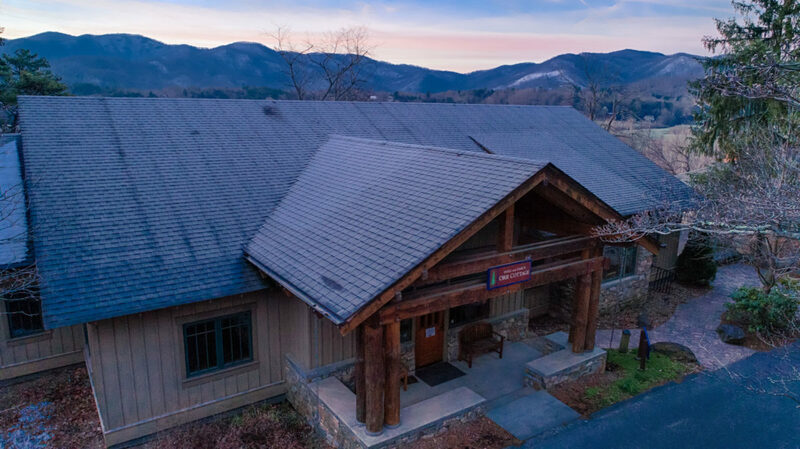 The Blue Ridge Mountains surround campus, here keeping watch over Orr Cottage, which houses the Office of Admissions and Financial Aid. 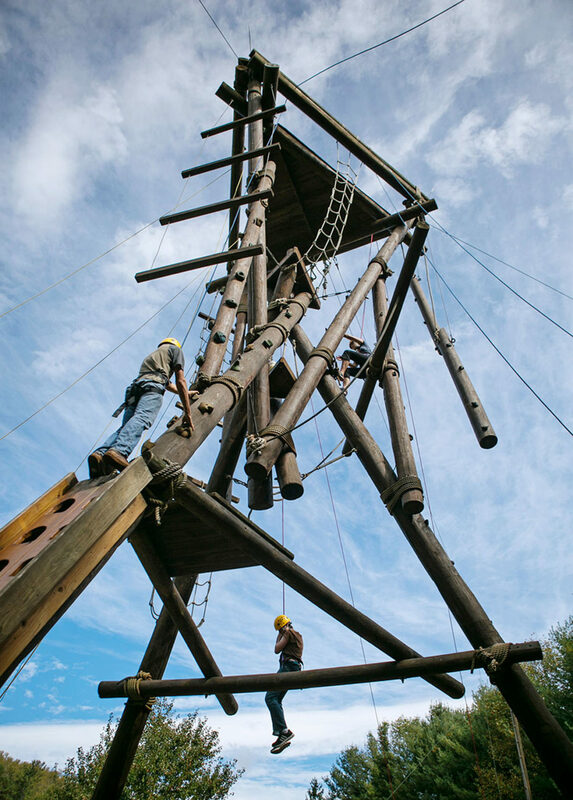 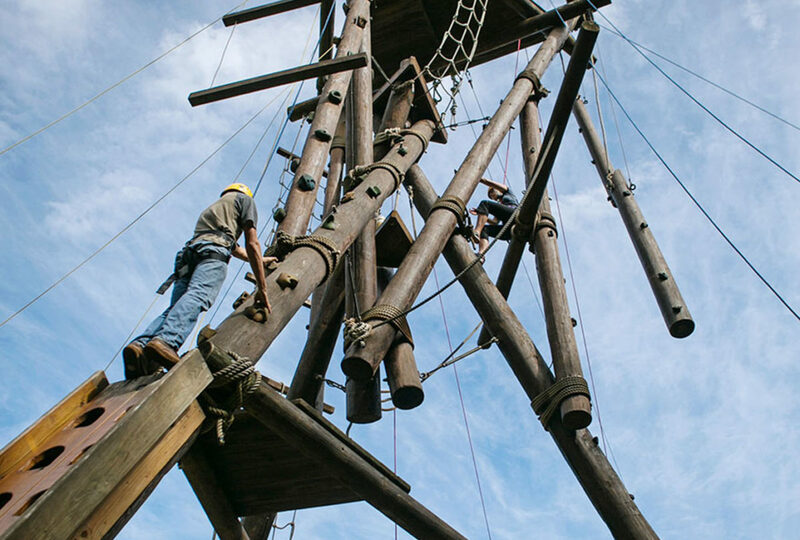 Our Alpine Tower is a cornerstone of our Outdoor Leadership program. 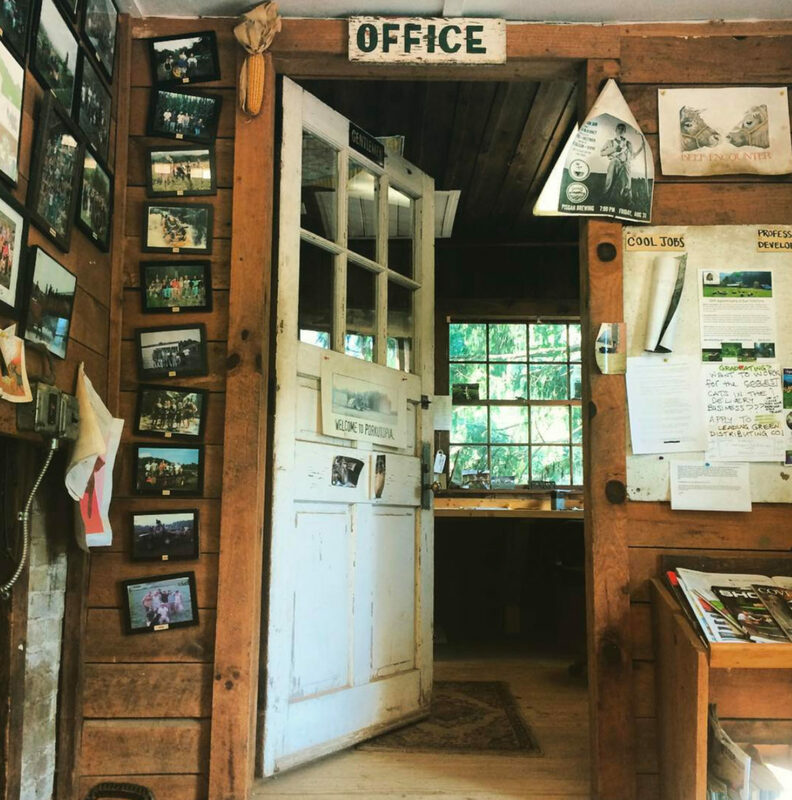 Step into the Farm Office for your fresh eggs and to connect with the Farm Crew. 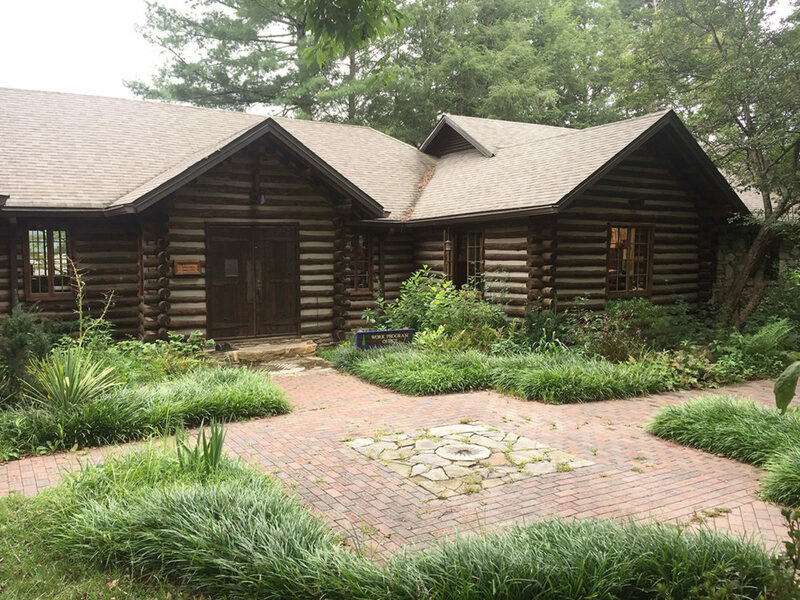 The Log Cabin was built in the '30's and is one of the oldest buildings on campus. 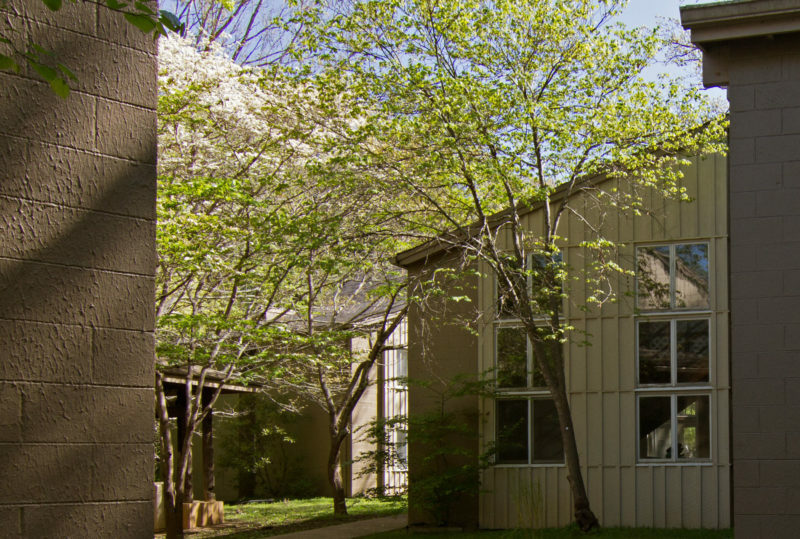 Now it houses our Work Program Office and #6 ranked Career Services Office. 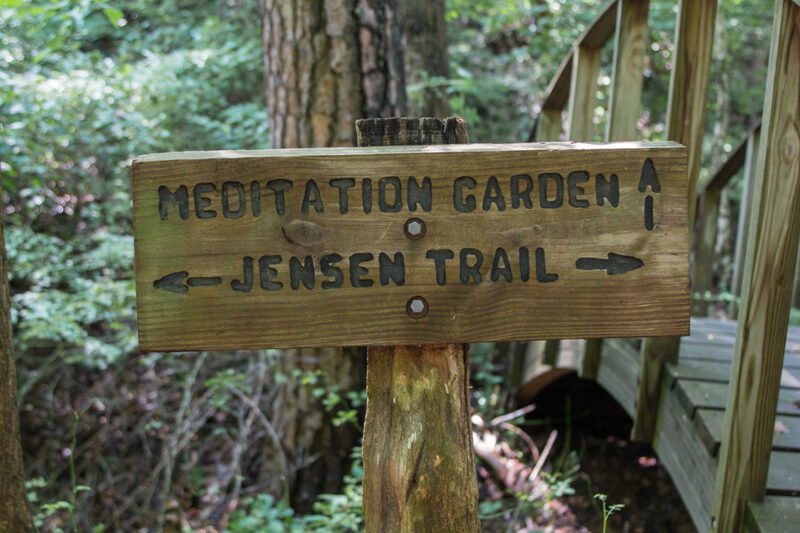 The student-designed and built Meditation Hut. Plenty of picnic spots on campus! 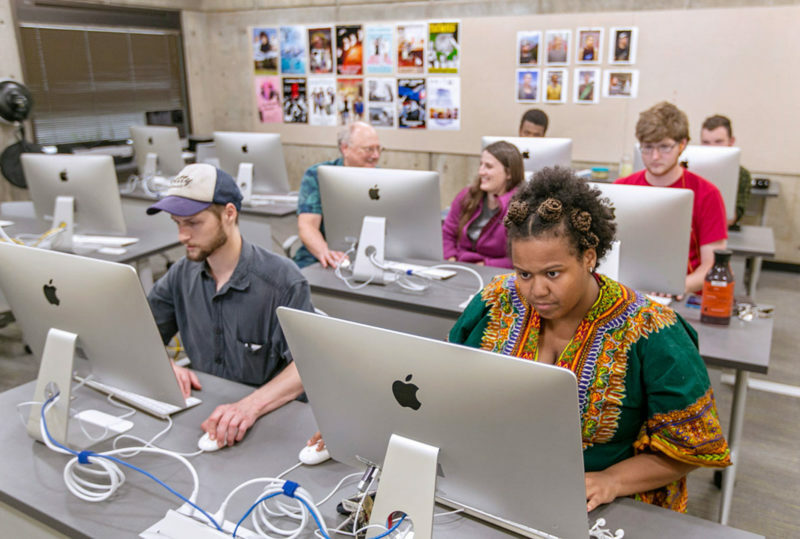 Mac labs support your creative interests. 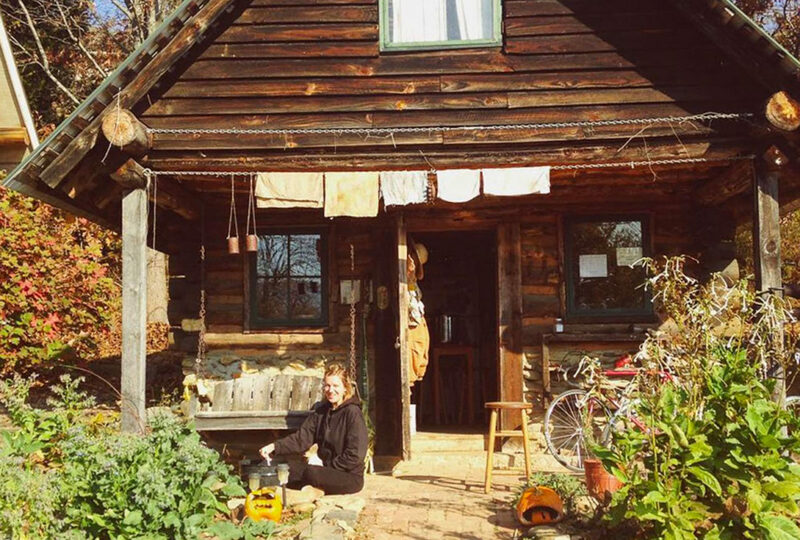 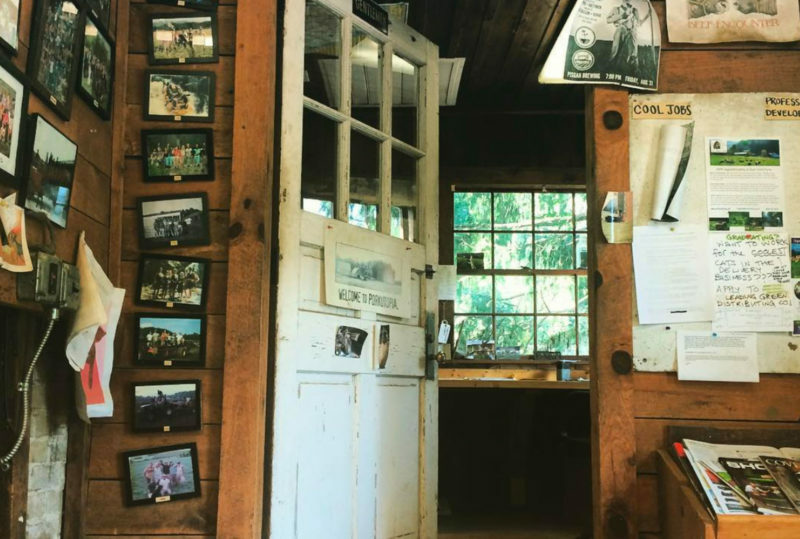 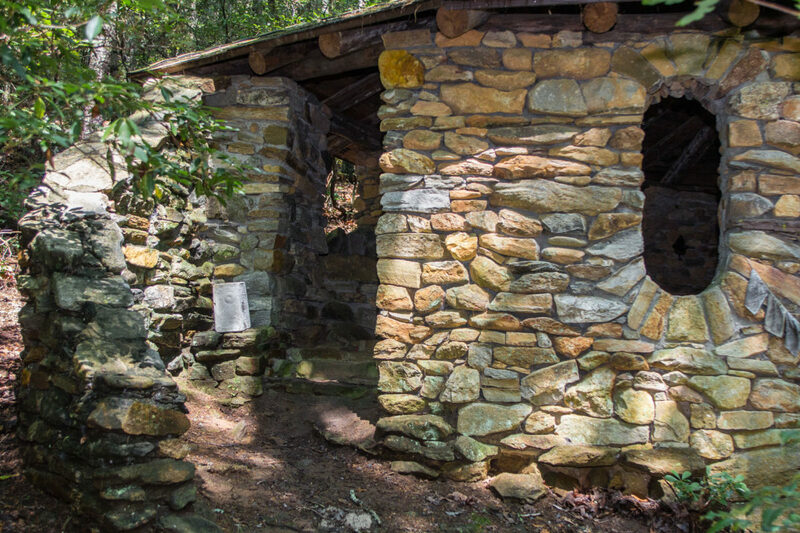 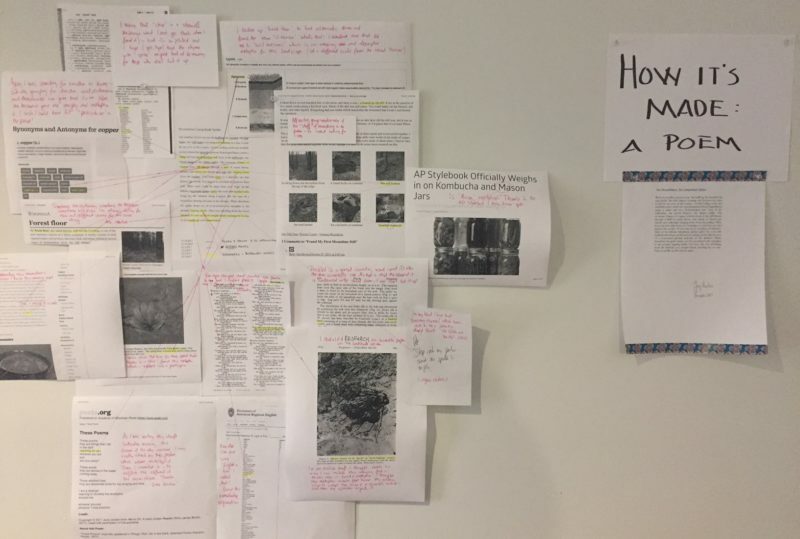 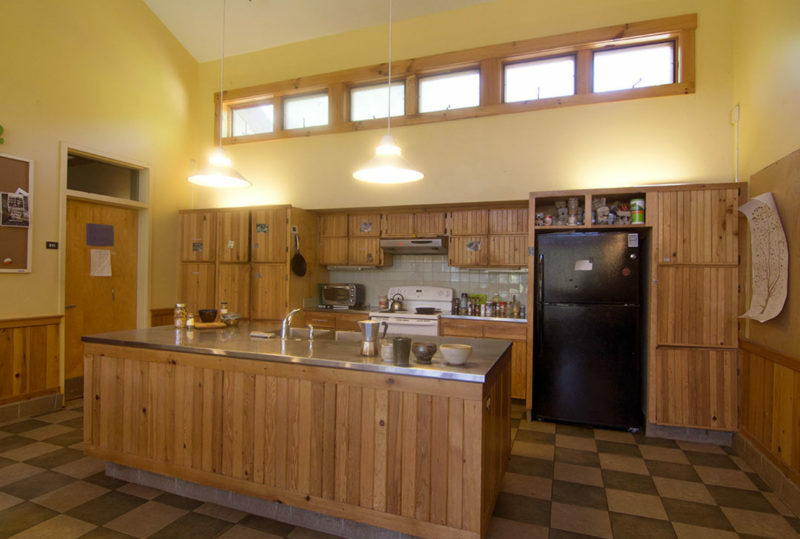 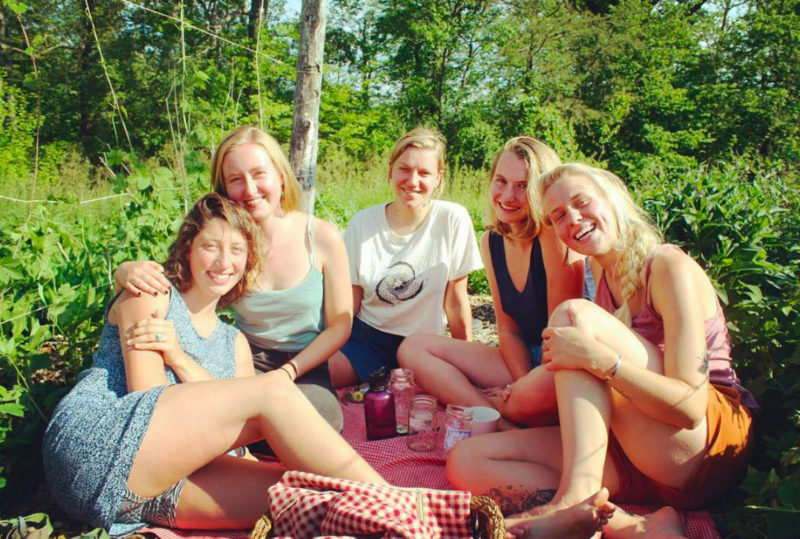 The Herb Crew Cabin, where students make soap, tea, lip balm and more.